Following the death of his wife and the government's refusal to pass his local trade union's chartist petition, John Barton sinks into a depression so deep that not even his doting daughter can lift him out of it. Seeing the poverty that her family has been reduced to and the desperation in her father's eyes, Mary Barton realises she must reject the proposal of her working-class lover, Jem. 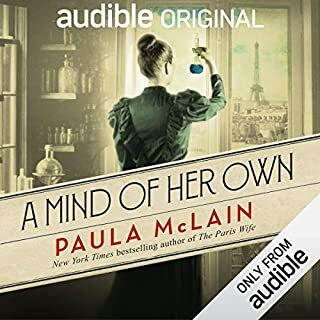 Instead, she sets her sights at a master's son, the wealthy heir of a Manchester mill, Henry Carson, in the hope that his situation will improve her own. In a shocking turn of events, Mary discovers Mr Carson has been shot and her former lover, Jem, accused of his murder. As life-altering secrets emerge and the lives of those around her are put on the line, Mary must decide who to trust and who to denounce. 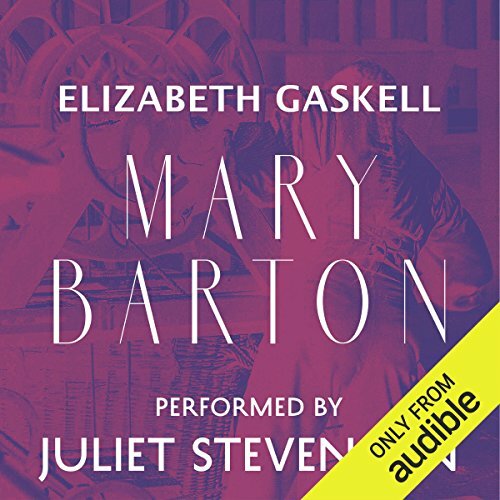 Elizabeth Gaskell's first novel, Mary Barton: A Tale of Manchester Life, is an emotive condition of English work in which she artfully intertwines the socio-political struggles of the 'hungry forties' with elements of a classic love story. Mary Barton is a pioneering work of fiction which has ensured that Gaskell's name will forever be included in a list of England's greatest authors. Its success was such that it even won the attention of Charles Dickens and Charlotte Brontë, forging a great working relationship between the writers, and later leading Gaskell to write Brontë's biography. Multi-award winning actress, Juliet Stevenson has graced the stage and screen with a myriad of powerhouse performances for over 40 years. Aged nine, she developed a passion for the spoken word after performing a reading of a WH Auden poem in front of her entire school. She graduated from the Royal Academy of Dramatic Art and later became a member of its artistic council. Her theatre experience is vast and includes parts in Measure for Measure, Les Liaisons Dangereuses, Burn This and Death and the Maiden. She is also known for her film career in works such as Bend It Like Beckham, Emma, Truly Madly Deeply and Mona Lisa Smile. Stevenson has been BAFTA-nominated and been the winner of a Laurence Olivier Award. In 1999, she was awarded the Commander of the Order of the British Empire in the Queen's Birthday Honours List, for her services to Drama. 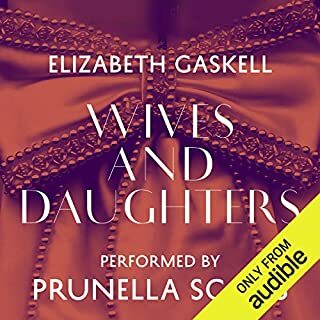 Juliet Stevenson is nothing less than brilliant in narrating this work of Elizabeth Gaskell, and brings its several characters to life with seeming effortlessness. It is a piece of vibrant performance art. Gaskell's touching novel is a reminder that the extent to which socio-economic dislocation and abuse will be eradicated is dependent on being spiritually alive to the oneness of humanity. And though written over 150 years ago, Gaskell's deep concern over society's deafness to the poor, never heavy-handedly conveyed, unfortunately still has rich meaning. Elizabeth Gaskell wrote novels and short stories in the 1840-60's. That is 150 years ago! And her novels have aged perfectly because the people speak in voices that you could hear today. She was only 55 when she died, leaving her last novel, "Wives and Daughters", unfinished. She also wrote "North and South", referring to England and the comparison between idyllic village life and terrible manufacturing town life. "Cranford" is a short novel, her second, and probably her best when considering characterizations. I find it incredible that "Mary Barton" was her first novel. It is chock full of people you will recognize from our culture today. Our American culture at that, probably any culture. Gaskell wrote in a manner that was so far ahead of her time. She needs to be appreciated by more people than just English majors. Her work deserves all sorts of people to read it. Just darned good story-telling. 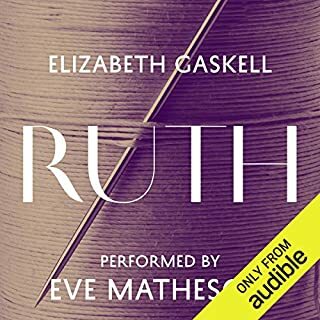 I heartily recommend all her novels to Audible listeners. 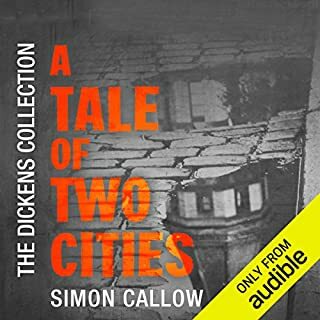 Even though these novels are in the public domain, the Audible versions are so much better spoken. The readers chosen by Audible are perfect, light British accent and easily understood. They add a lot to these books. I happened upon Elizabeth Gaskell's final, almost fairy tale like book. I was so charmed by her story and lyrical writing that I decided to see what else she had written. To my amazement her other books expose the harsh, unforgiving realities of the workers and their families as a result of the Industrial Revolution, as it transpired in England in the early 1800s--very different from her final book. I also learned that Ms. Gaskell is the author of the famous "North and "South," a book I felt too daunting to read as my next book. I chose instead "Mary Barton" as a warm up to this other book that I now intend to read. "Mary Barton" turned out to be much more than a warm up. It is hard to put into words the beauty of Elizabeth Gaskell's writing, even as she describes human hardship and misery brought upon one class of men against another. And then to also weave many stories of human love and an actual love story within such dire circumstances! I am so glad that I found, although belatedly, this other author from 19th century England who deserves to stand with the Bronte sisters and Jane Austen. Oh! I must not forget to commend the narrator, Juliet Stevenson, whose performance I cannot imagine could be surpassed by any other. What lulling beauty of her voice. What amazing ability to bring to life the words on a page. She took me right there to the lives and depth of character of the people of Manchester, England. Why Can't I Give Juliet Stevenson 10 Stars??? This was Elizabeth Gaskell's first novel. It's a little sentimental and a little too fawning about religion for my taste, but overall, it's a stunning work of fiction. Amazingly vivid and rich, brutally honest about the plight of workers (in a way that feels highly relevant to today's anti-union attitudes), and touching in its portrayal of the heroine's moral dilemma and emotional maturation. Once the story gets underway, it's hard to stop listening. It's like a thriller in that way. This is the third Gaskell novel I've read, the first I've listened to. But let's cut to the chase: Juliet Stevenson absolutely KILLS IT with one of the most stunning readings I've heard. It rivals Ruby Dee's performance of Their Eyes Were Watching God in the variety of accents and dialects done with absolute perfection and scary consistency. This novel has a large cast of characters and without exaggerating or going over the top, Stevenson gives each one a distinctive voice. Truly, it's amazing. Some of the dialogue looks a little daunting on the page, but Stevenson makes it soar with complete clarity. This is maybe the third or fourth book I've heard her narrate, and to be honest, she makes everyone else seem like a cheesy amateur. She really is that good. I know it's a cliche to say "I'd listen to so and so read the phone book" but truly, I believe Stevenson would make it interesting. I wish she'd stop acting and devote herself entirely to this so she could record EVERYTHING. I love Gaskel's storytelling ability, especially her talent for bringing vividly to the reader's imagination the period in which she lived and the peoples amongst whom she lived. However this is a very dark, bleak tale of passion, jealousy, starvation, and murder. Death permeates this story in every form. Characters are also over dramatized, with swooning and mental breakdowns happening frequently. The narrator as written breaks into frequent burst of scripture quoting and sermon delivering. This is definitely one of Gaskel's most "preachy" novels. I enjoyed the tale none the less and Ms. Stevenson is amazingly talented with the various accents. I'm a great fan of Elizabeth Gaskell since I listened to Cranford, and Mary Barton served only to increase my admiration for her story-telling. This one was surprisingly fast-paced especially toward the end. She really had my heart racing with the suspense of it all! And Juliet Stevenson does it again with her agile reading. It just amazes me how she can switch so rapidly between characters with such different voices and accents. My Happy Discovery of Mrs Gaskell! Mrs Gaskell! You enchant me! This book is so beautifully written, and so very modern. Yes, the wording is old-fashioned and the ways in which the people interact are old-fashioned, but the book reads fresh and insightful. The characters express emotions that a person can relate to today. As I discussed this book with my husband I found myself repeating "she wrote this book 150 years ago!" I found this book filled with characters who live today. I have added all of her novels to my TBR list and am excited to read each of them. I m surprised that the name Elizabeth Gaskell isn't more widely known, like her contemporaries Charles Dickens, Jane Austen and the Bronte' sisters. And the narrator of the audio book I listened to, Juliet Stevenson, was equal to the book. She carried me to Manchester of the mid-1800s. She gave the characters the depth they deserved and allowed the words to be deep and complex and lovely, as they were written. This is a very fine novel and my first read from Elizabeth Gaskell. The characters or well-developed and sometimes good to a fault. I appreciated the way this book approached the heartfelt issues of its characters from a Christian viewpoint. Gaskell's versatility is admirable. I really got into this story, and the narrator was perfect. Highly recommended. Also North and South--which I liked even better. Juliet Stevenson does it again! She has such a beautiful, soothing voice. I could listen to anything narrated by her. It doesn't hurt that Elizabeth Gaskell is an author that I really like and admire. The themes explored in this novel are very deep but I didn't find them melodramatic as other people did - I only found them dramatic. I really liked this book - maybe not as much as North and South, but it's close behind. This is a very fine version of a classic Victorian story. Mrs Gaskell was a minister's wife so you have to accept the heavy handed Christian ethics, but the story sets out some radical sympathies for both working and monied classes, so stick with it. the narrator is excellent and sweeps you along. It is not for the plot but for the writing that one reads or listens to Mrs Gaskell, and here Juliet Stevenson is exactly the right reader. The intensity and passion of that scene, for example, where Mary Barton tries to contact Jem before he sails away, so that he can give his testimony at court: the tension that builds is masterful. It is a scene I shall remember for a very long time, and to which I shall surely return on this recording. There was much social injustice in the 19th century and reform was helped along by eye opening literature from the likes of Gaskell and Dickens, to them we owe a great deal. This tale doesn't reach the heights of Dickens but has the same worthy aims. I found the story a little bit annoying, salt of the earth workers from the North who have great insight into the human condition and who aren't afraid to speak their minds except when doing so would scupper the plot....anyway worth the time - if it is the first time you are thinking of trying Gaskell I would go for North and South or Wives and Daughters. I listened to this in one long session it was so good. 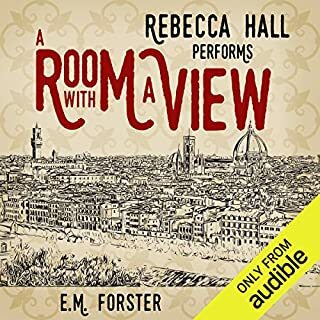 Narration was truly brilliant, as are all audio books done by Juliet Stevenson. It was actually an easy listen and held my interest to the final word. Certainly on my list of 'listen again'. Great work of social realism, not a great novel. This isn’t successful as a novel, because the characters are shallow and their treatment is far too moralistic - it’s a moral tale - but it is superb work of social realism (and a great plot). So, paradoxically, I’d say it is one of the great nineteenth-century novels. There’s nothing of the enlightened human understanding and insight of George Eliot. And I don’t know if I really cared about any of the characters, except to know if Mary manages to exculpate Jem. But the portrait of the times is very strong and vivid. It’s a primary source for the beginnings of our age - what early industrialisation was like. A great read for that reason. Juliet Stephenson does what she can. She’s a great reader, but does better with more material. I actually found it quite gripping. I really felt for the characters and had to find out what happened. Quite a lot of Victorian moralising but also excellent social commentary. As always Juliet Stevenson is a dream. Well worth your time if you are a fan of social history. Unforgettable characters and the theme is still relevant today. Beautifully read. I Really enjoyed it. 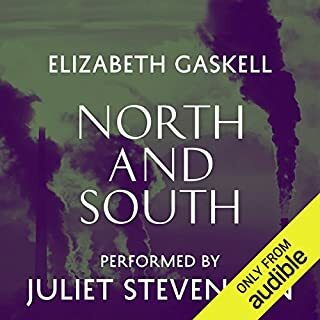 I really enjoy Gaskell and I really enjoy all of Juliet Stevenson's narrations (I have listened to so many). This is a great novel with an emphasis an a certain socio-political issue told by means of a story that is worthwhile within itself. Whilst the socio-political viewpoint is obviously one-sided, it offers valuable insight into working class life all that time ago. Stevenson captures characters' personalities so well, she is spot-on with her regional accents, and I feel she does justice to the novelist's intentions. I listen to any unabridged audio book read by Juliet Stevenson, and read any novel by Mrs Gaskell. This is another great one. Mary Barton isn't up there with North and South for a great inspiring romance, but it's a solid, well-drawn and interesting story of a young woman's journey to the realisation that sometimes the life you thought you wanted for yourself isn't the life you needed after all. Jem Wilson is a good stolid hero with a sound moral principle, and the villain is suitably arrogant to make his come-uppance just a little bit welcome. Written from several perspectives, Mrs Gaskell once again shows that no one dies unregretted by no one -- everyone matters from someone's point of view. I thought this novel particularly good in its portrayal of Victorian life and justice -- better than North and South, which is usually regarded as Mrs Gaskell's finest.